Ellicott City brings the days of old to our current time. 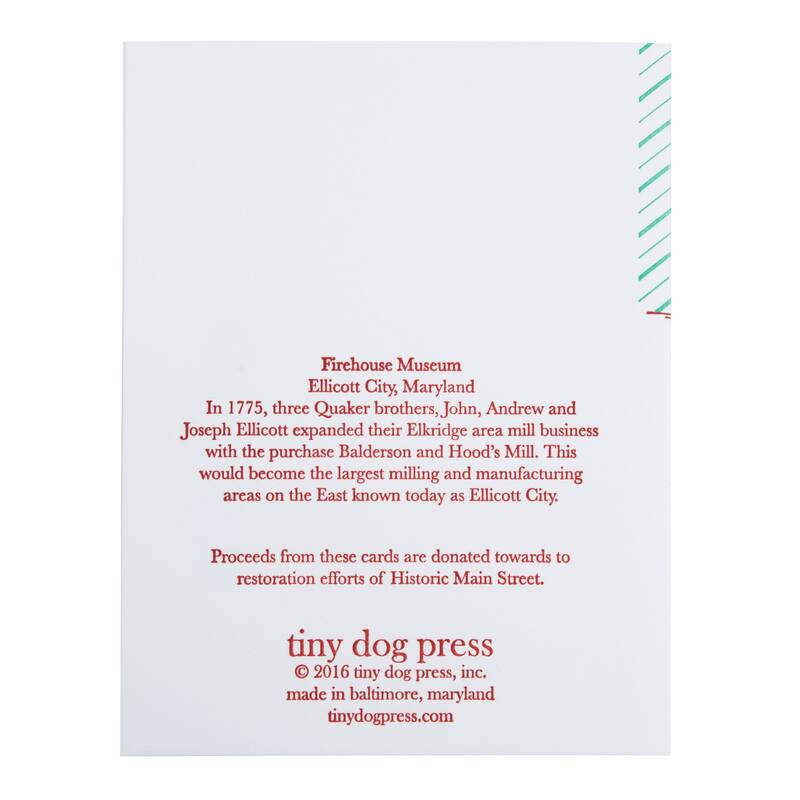 This 2 color letterpress card illustrates the Fire House Museum in downtown Ellicott City, Maryland. There is a chevron pattern in the background and a short blurb about the history of Ellicott City on the back of the card. 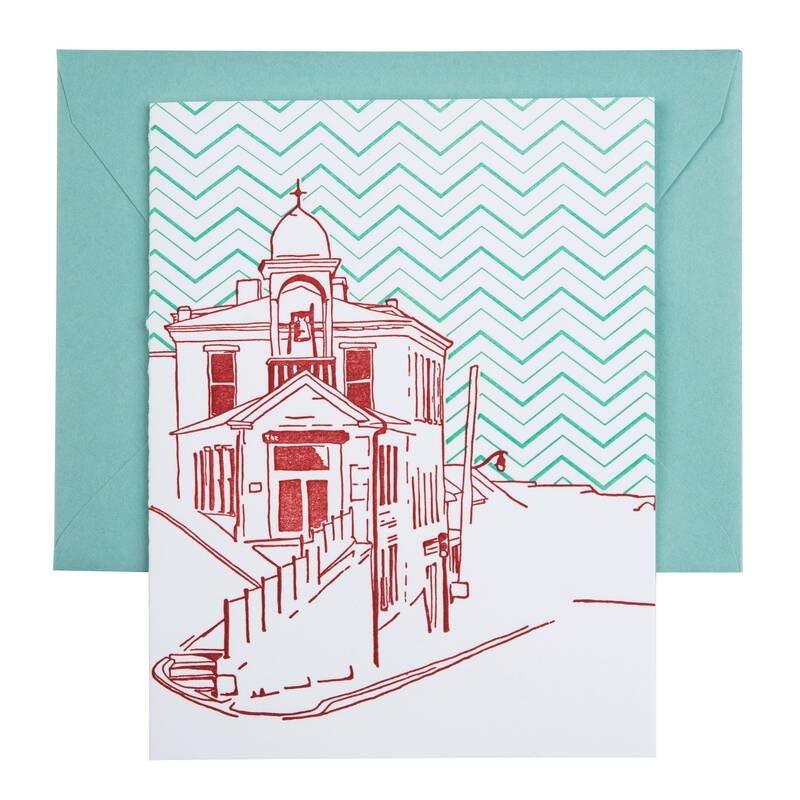 Proceeds from this card are donated to help the restoration efforts from the flood of Main Street on July 30, 2016.